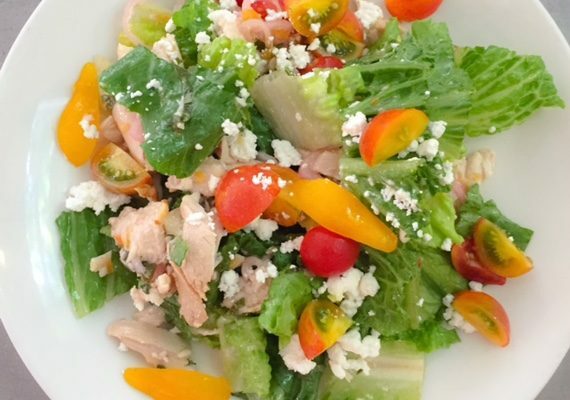 A simple, quick salad for the dog days of summer. You can use feta instead of the chèvre if desired. I love summer salads that use up leftover protein from last nights meal, think of grilled shrimp, pork tenderloin, tofu, or salmon as a replacement for the chicken. I also recommend using any kind of lettuce you enjoy such as bibb, romaine, watercress, red leaf or endive.